Decorative zodiac sign on pattern background. イラスト素材: Decorative zodiac sign on pattern background. Capricorn, goat. Decorative zodiac sign on pattern background. Outline hand drawing. 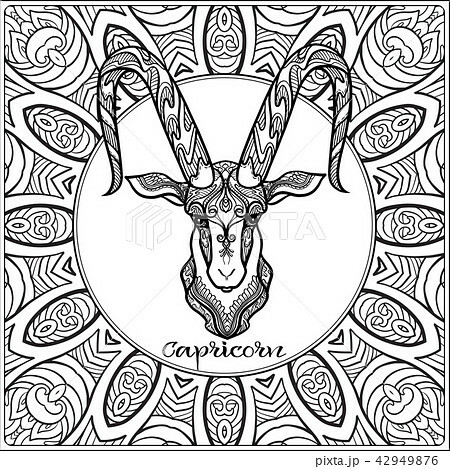 Good for coloring page for the adult coloring book Stock vector illustration.